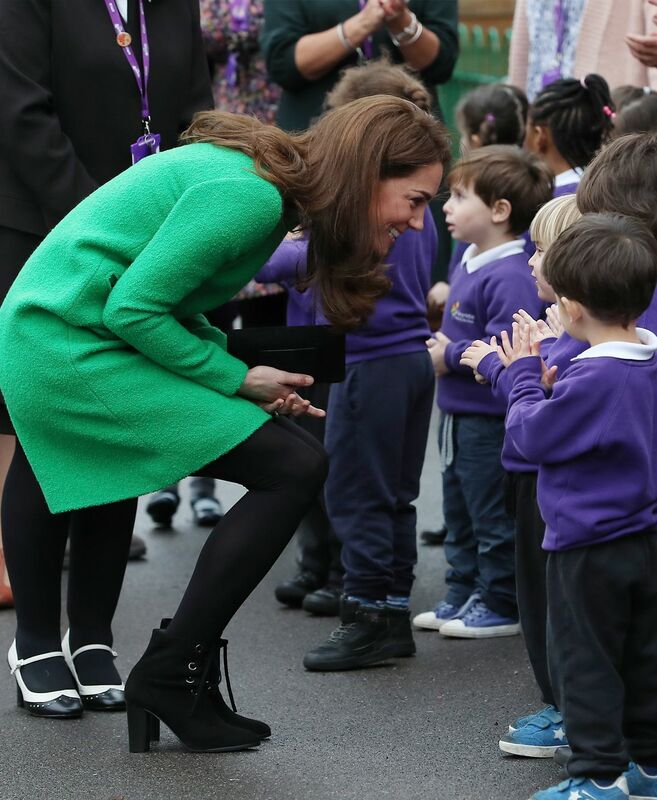 Today the Duchess of Cambridge visited Lavender Primary School for children’s mental health week, taking part in a number of activities with the children to identify the things that make them feel good. 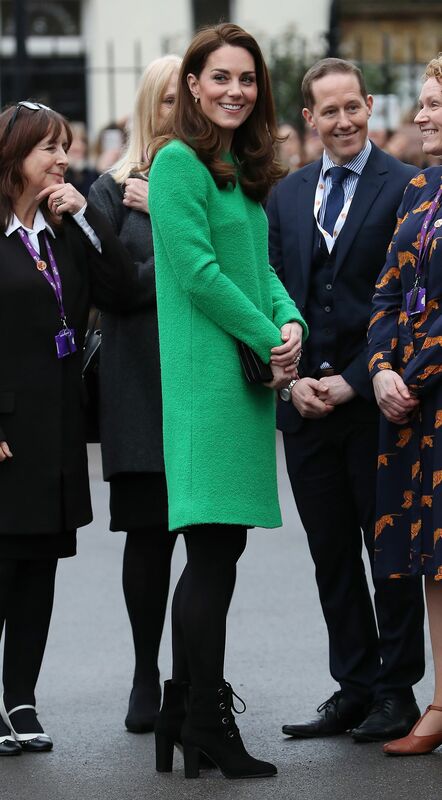 Kate wore a bold green dress by a label that she has been wearing since 2016, Kensington-based bespoke dress brand Eponine London. 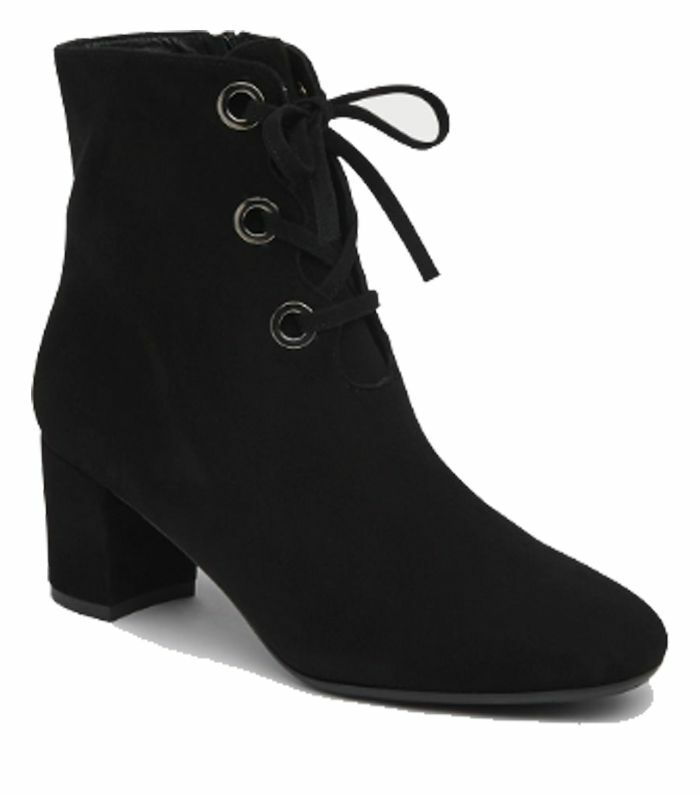 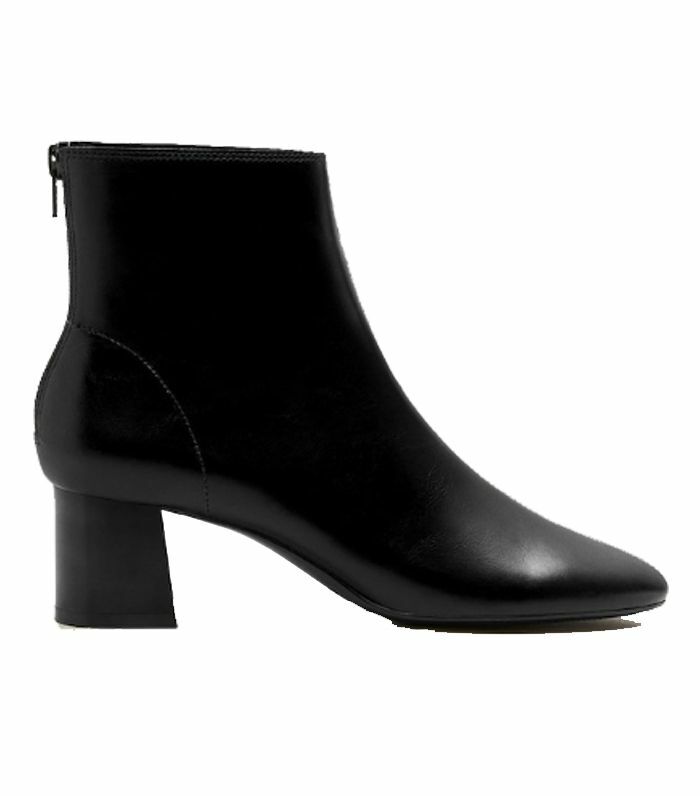 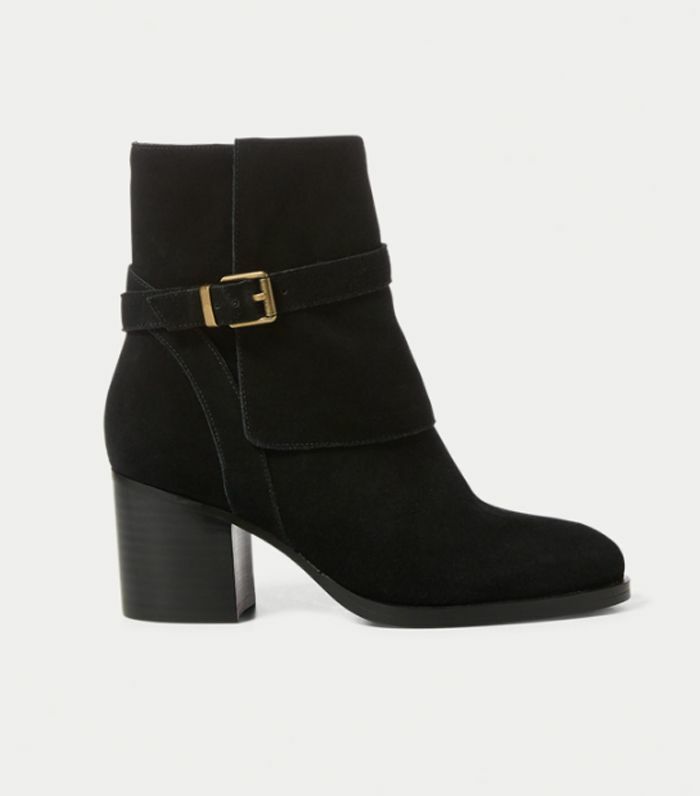 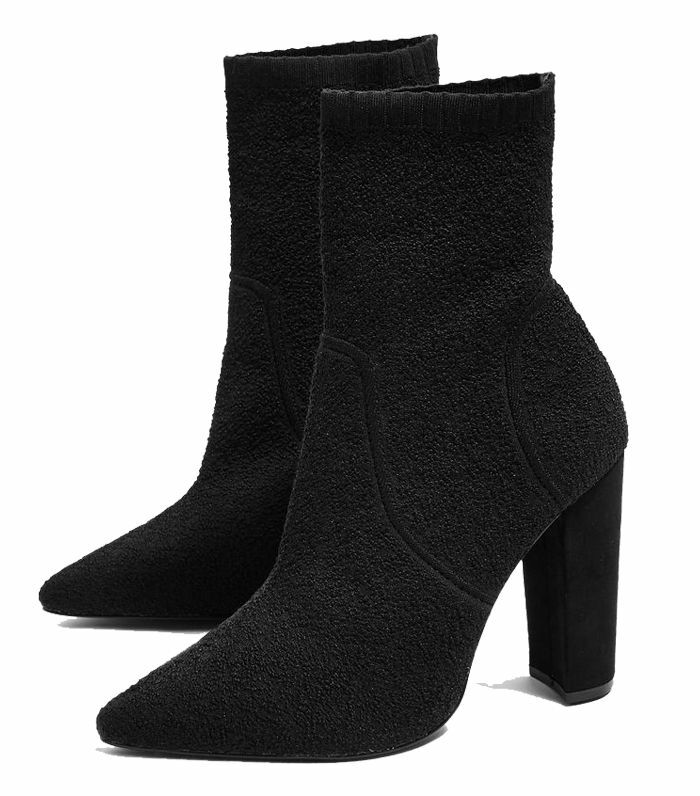 Her choice of shoes, however, was less predictable, as Kate wore a pair of lace-up black suede ankle boots with a chunky heel and gold eyelets. 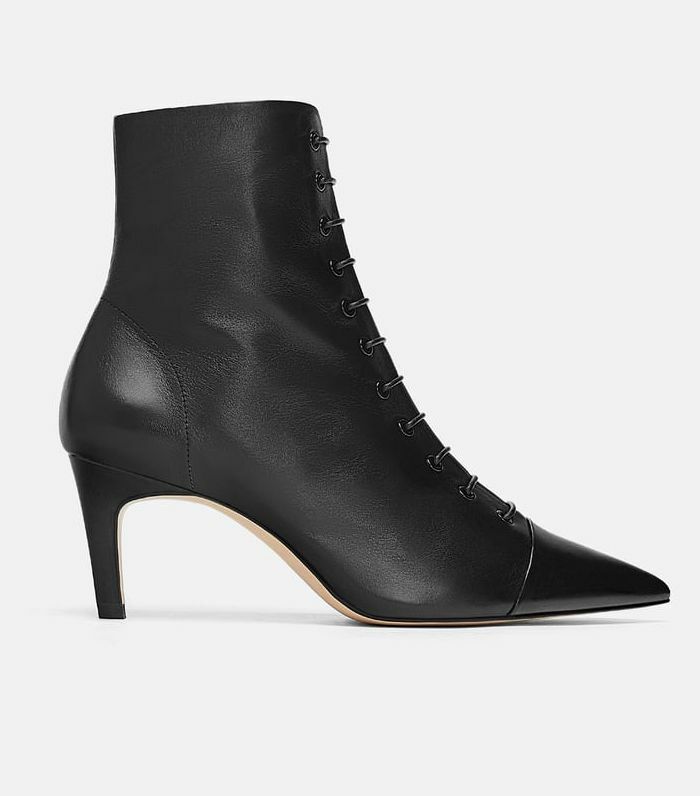 It’s a more casual choice of footwear for the Duchess, who usually favours a conservative court shoe or something a little more formal.